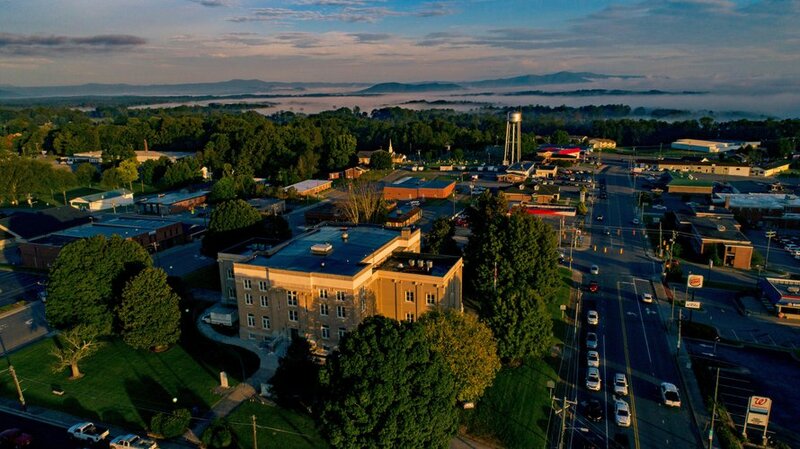 Mount Airy, known by many as Mayberry, is the birthplace of Andy Griffith and inspired the fictional town. Visitors from across the United States and the world come to Mount Airy, North Carolina, to trace the steps of native son Andy Griffith and to experience, at least for a few days, life in that nostalgic place known as Mayberry – a place they fell in love with watching The Andy Griffith Show.It’s no secret Griffith based the show’s fictional hamlet on his hometown. Dozens of Mount Airy people, places and things are referenced in the classic 1960s sitcom. 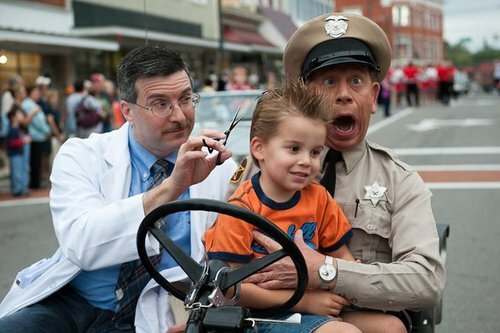 And the fabric of life in Mount Airy echoes that of Mayberry. 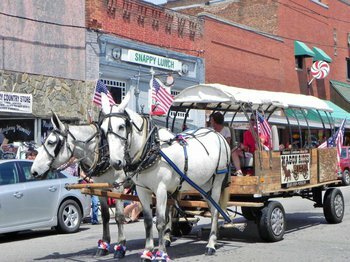 People are welcoming, the pace of life is relaxed and there's a genuine spirit of community and friendship that visitors notice as they enjoy a taste of real-life Mayberry. 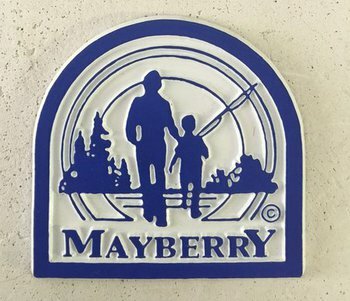 The list of "Mayberry" offerings in Mount Airy is lengthy. For starters, there's the Andy Griffith Museum, which houses the world's largest collection of Andy Griffith memorabilia. Most of the items were collected by the late Emmett Forrest, who was a life-long friend of Griffith. The museum has props from the TV show, items from Griffith's long career in music, TV and film, and personal items donated by actors on the show, including Griffith. 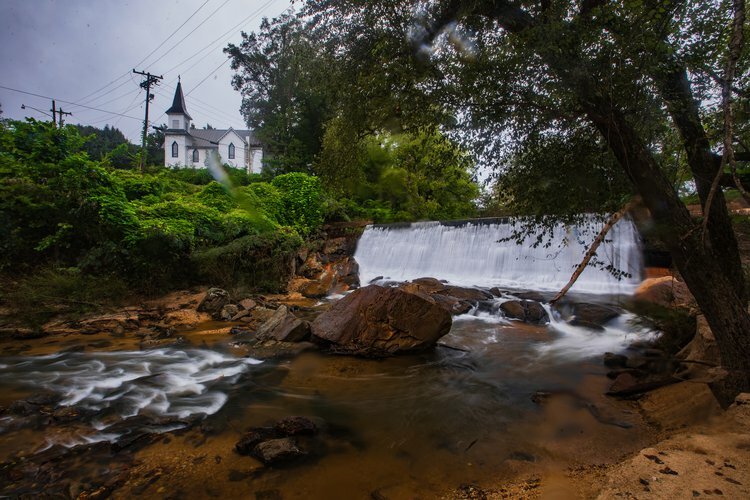 In front of the Andy Griffith Museum is the TV Land Landmark statue of Andy and Opie walking to the fishing hole. 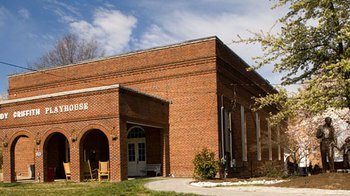 Next door is the Andy Griffith Playhouse, the former grade school auditorium where Griffith made his first appearance on stage. 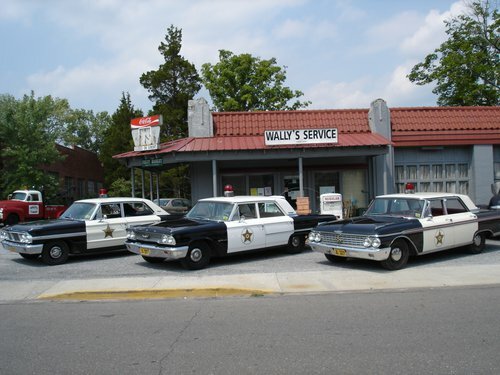 One of the most popular activities is taking a squad car tour of town. 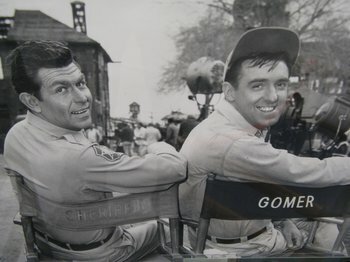 Mayberry Squad Car Tours last about a half hour and include many of the key places in the life of Andy Griffith, including his boyhood home and the church where he first learned to play music. Visitors also stop by Floyd’s City Barber Shop for a haircut, and eat at Snappy Lunch, a place mentioned on the show. Another pastime is browsing the Mayberry-related stores on Main Street. 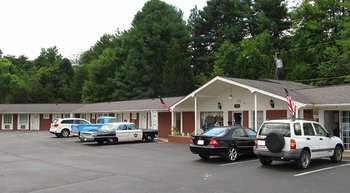 Serious fans like to stay at the Mayberry Motor Inn, which has a room with items from the estate of actress Francis Bavier (Aunt Bee). 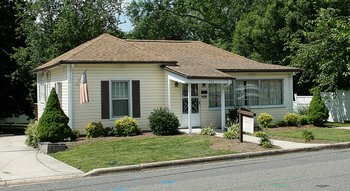 And some fans even go a step further by spending a night at the Andy Griffith Homeplace, the two-bedroom bungalow at 711 East Haymore Street that was Andy’s boyhood home. It’s now a vacation rental owned by the local Hampton Inn. 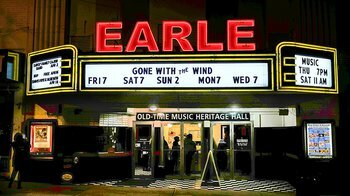 The Historic Earle Theatre, circa 1937, is an art deco theater open year-round for live music, touring concerts, select movies and the Saturday morning Merry-Go-Round radio broadcast. Known for bluegrass and Old Time music acts. 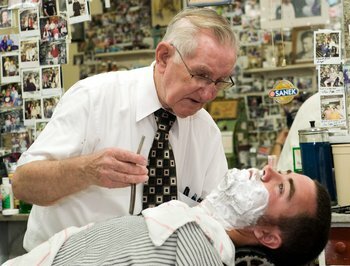 Long-time barber Russell Hiatt, who cut the hair of a young Andy Griffith, has moved on to that great barbershop in the sky, but his son Billy keeps the business going. 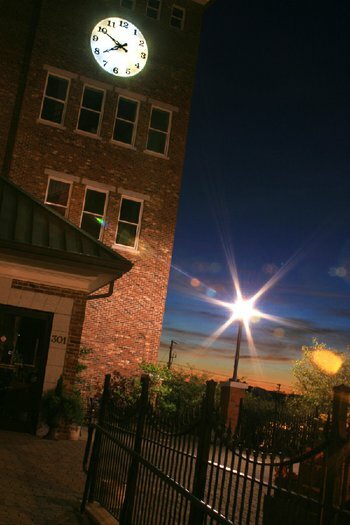 On Friday and Saturday nights from the last weekend in May through November, take a latern-lit walk through time to experience local ghost stories and legends. 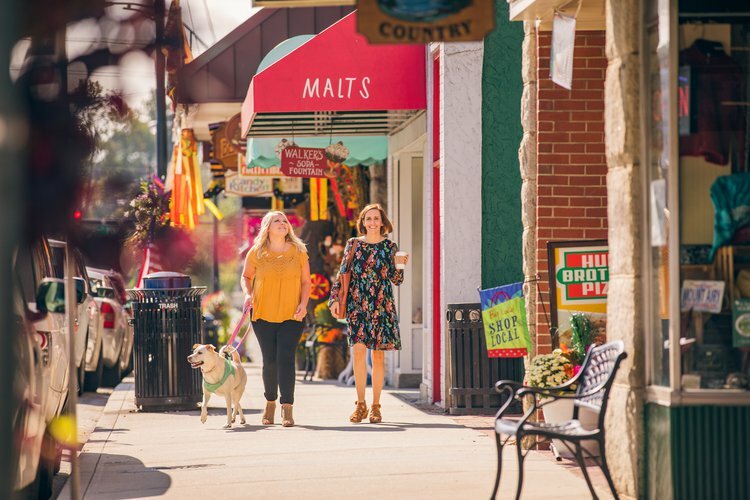 Whether treasure hunting for yourself or looking for a friend, Mayberry Antique Mall is well worth a visit. 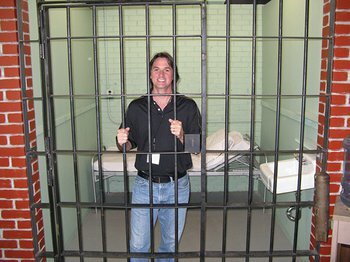 Take a tour of the jail cells where Barney locked up the hardened criminals, including the local drunk Otis Campbell. 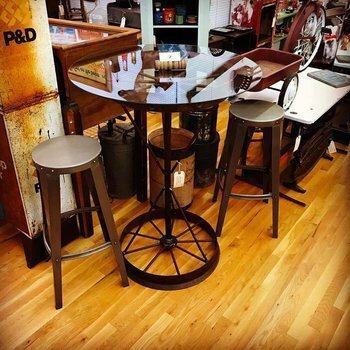 More than 15,000 square feet of merchandise, including apparel, drinkware, knick knacks and more.